It’s once again house centipede season. Every year at about the same time I see a huge increase in interest in these ‘bugs’. This particular centipede gets referred to a lot as a ‘fuzzy centipede’ and while I don’t think it’s fuzzy, it’s long wispy legs can perhaps give the impression that it’s fuzzy. 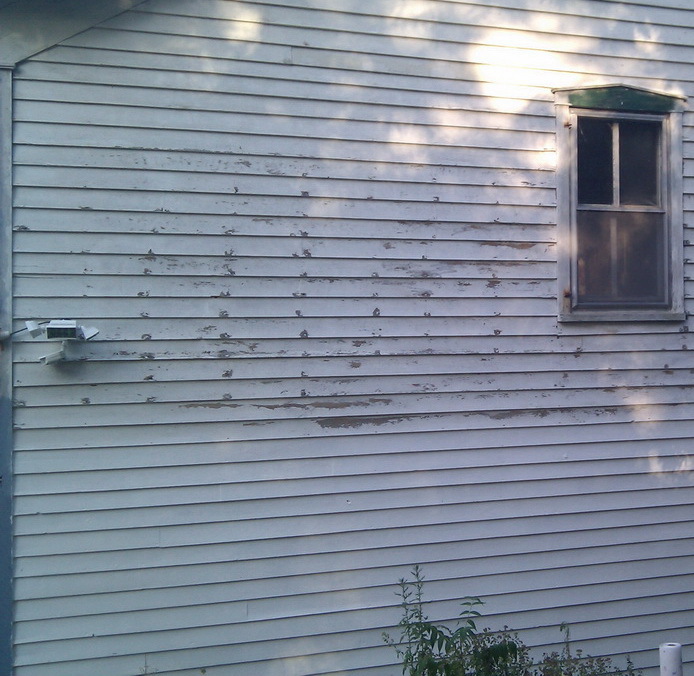 After a few years of sealing cracks and pest control the number of centipedes (and other insects) I’ve seen indoors has been steadily decreasing though I don’t know that I will ever be able to rid this 120+ year old house of all it’s unintended tenants, it is an improvement. This centipede is pretty common to see indoors in older homes and homes which haven’t been under a lot of pest control. The house centipede prefers cooler damp areas so you’re likely to see them in your basement or around drains and that sort of thing. If your home is older and the basement isn’t well sealed from the rest of the house you’ll probably see them up in your living area as well. You can reduce how much you see them by trying to seal up cracks, holes and opening between the basement and the living areas. Also it’s good to seal around pipes as well. The house centipede is relatively harmless and the name ‘fuzzy centipede’ makes it sound cute. While I don’t think they’re very cute they are relatively harmless. They don’t bite but they can sting and it can feel similar to a bee sting and may cause an allergic reaction like a sting in some cases. House centipedes won’t attack you and often will run away from you. Please remember that most small creatures like this centipede know better than to aggressively attack something 1000’s of times their own size. If you roll over on one in bed then it might sting because it’s trying to save it’s own life. Primarily the house centipede uses it’s sting to immobilize it’s prey, other insects, bugs and spiders that it eats. 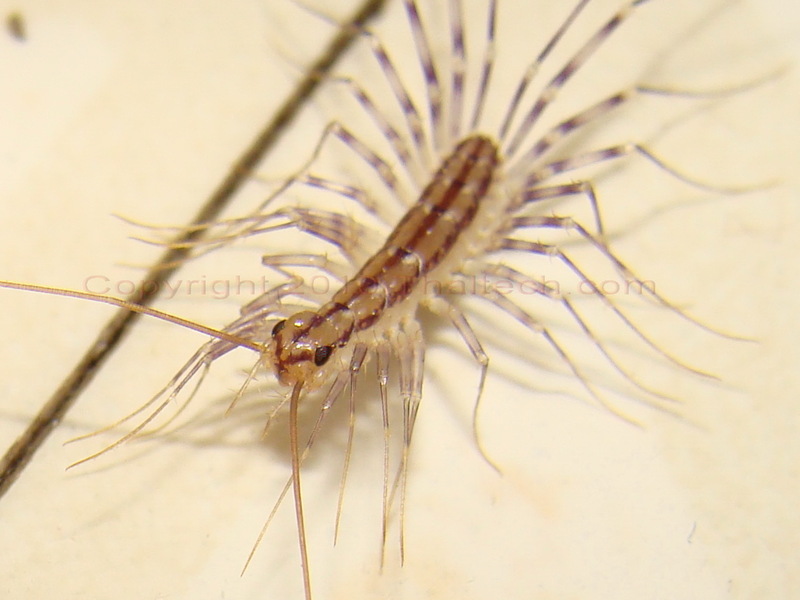 I’ve written a much more detailed post about these centipedes with photographs that you should check out if you want to get even more information on the house centipede. Best of luck resolving your centipede issues! I found a house centipede running around my bedroom now I don’t know where it is should I be freaked out? ?